This book consists of 10 chapters of practical ways to lose weight using some information you may not know already and self-discipline. Being overweight does not only give you problems toward your own self, but the bigger picture is how people look at you while you're out walking on the streets. The uncomfortable knocking together of your thighs, losing your good old clothes, looking at yourself in the mirror and thinking, When did this all happen?, and many more uncomfortable emotional feelings can be reversed. 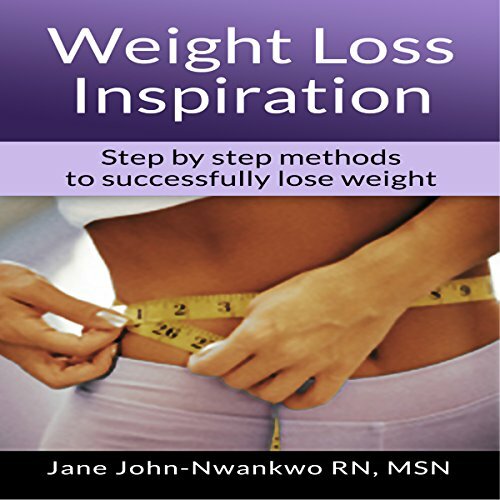 Would you consider the audio edition of Weight Loss Inspiration to be better than the print version? Yes, it is very helpful. Can't expect to many results from reading to loose weight. Yes, I am a huge Steve Ryan fan all his work is AMAZING. Yes. It is really more inspiring when you hear it from the write narrator. What was one of the most memorable moments of Weight Loss Inspiration? I started takin the tips myself and over the last 6 months i have lost 30 pounds!!!! Yes. It compares be his voice is so soft and calm, most people just need a calm weight loss coach rather than a big guy yelling at you. Where does Weight Loss Inspiration rank among all the audiobooks you’ve listened to so far? This audiobook ranks in the top 5 of my collection. I give this a very good ranking. What other book might you compare Weight Loss Inspiration to and why? It's another book that I listened to called How I won My weight loss war. It reminds me of that book because they both are straightforward and easy to understand. The only difference is that book is much shorter and this one is 2 hrs long. It was around the 3rd chapter. This book didn't just focus on you, but it also focused on how you deal with people around you. Which all affects your self confidence and esteem which in term can effect working toward your goals. Reaching your goal comes from knowing the steps to be inspired. This was a very detailed oriented book with a lot of information but it was nice to listen to as well.